Discover The Best Things To Do In Cancun On a Budget! Happy Shuttle Cancun is your key to enjoy the most fun Cancun activities and Riviera Maya Excursions in 2018. 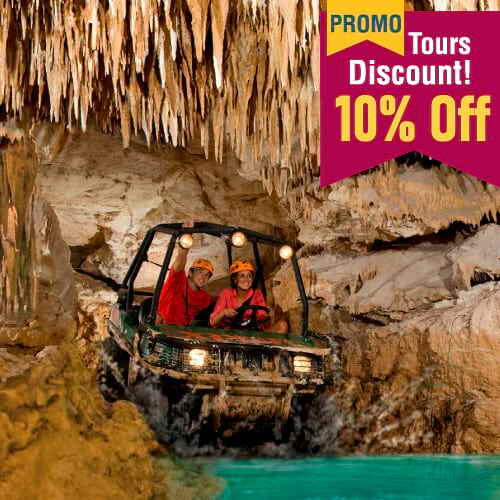 Book cheap tickets to the best excursions in Cancun like Mayan Ruins near Cancun, Cancun Eco Parks, Cancun Boat Tours, Water Sports in Cancun and Cancun Aventure Tours! 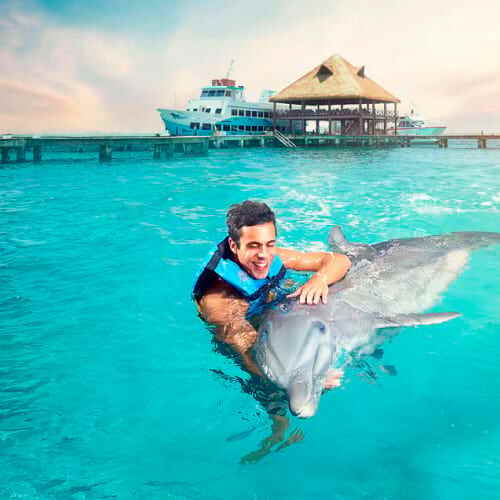 Your admission to the most fun Cancun Tourist Attractions are just one click away, book now! Find here the best Mayan Ruins Tours from Cancun in 2018. 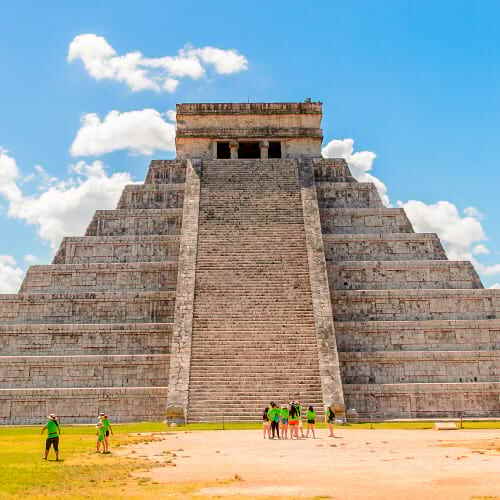 Discover one of the seven wonders of the world by UNESCO in our Chichen Itza Tour from Cancun. 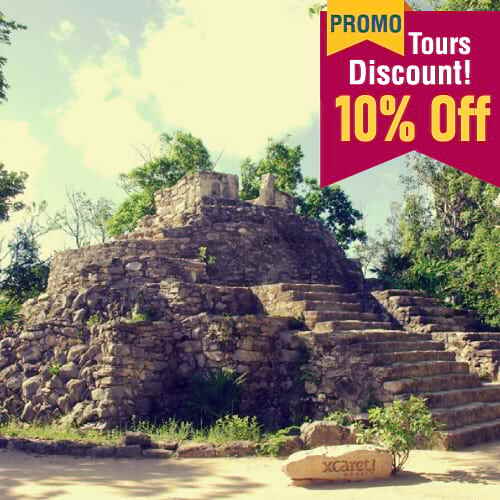 Enjoy an amazing bird view of the Mayan ruins and Caribbean sea with the Tulum Ruins Tours, or take one of the best things to do in Cancun on a budget with our Mayan Ruins Tour Packages! Your admission to Eco Parks in Cancun will let you visit breathtaking underground rivers with stalactites, sinkholes, and snorkel reefs. Book online your Cancun Discount Tours to Xcaret Park Mexico, Xel Ha Park, Garrafon Natural Reef Park, and Xoximilco Park. Live the experience of a lifetime at the best Cancun Theme Parks! 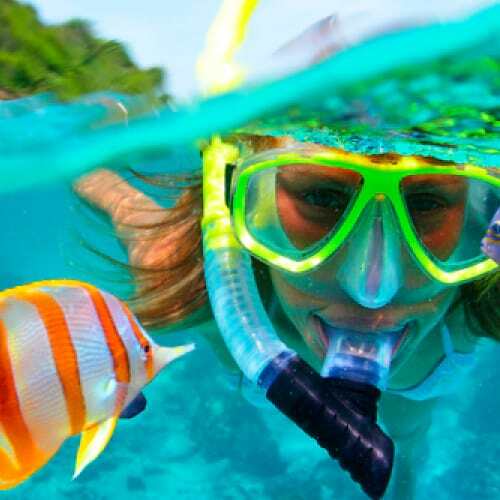 Let your senses go beyond your limits with the best Adventure Activities in Cancun. Make your dream come true and fly like a bird in the tallest zip lines in Cancun at Xplor Park. Cancun Boat Tours, von voyage! 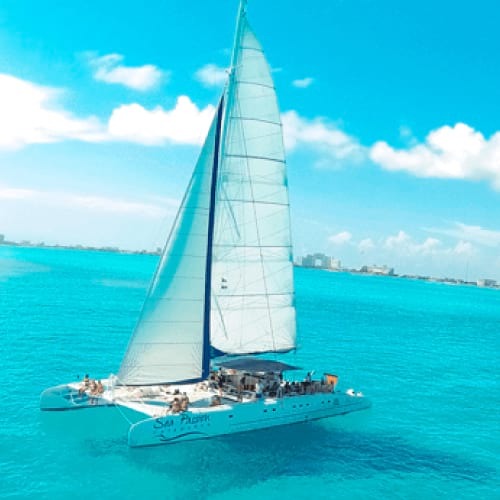 Feel the breeze of the Caribbean Sea aboard a Catamaran to Isla Mujeres, enjoy a premium dinner while a pirate battle takes part just centimeters from you at the Captain Hook Dinner Cruise Cancun and Jolly Roger Pirate Boat Cancun. Water Sports in Cancun, a must-do in your Cancun Vacation! This paradise offers you crystalline waters and a sunny climate all year long, making it perfect for Water Activities in Cancun. Swim with the gentle giant of the ocean at the Whale Shark Tour Cancun or Swim with Dolphins in Cancun. Book through the chat to enjoy Cheap Cancun Tours! #1 Experts in Cancun Discount Tours! We've handpicked the best things to do in Riviera Maya for you and your party, so just relax and let Happy Shuttle Cancun do the planning. Create your personalized Cancun Combo Tour as it best fits for you choosing from a variety of Cancun Tours. Combine perhaps a Tour to Chichen Itza with a Mexican Fiesta in Xoximilco Park or take a Catamaran to Isla Mujeres adding a visit to Garrafon Park… so easy with our Cancun Tour Packages! Add a Happy Shuttle to any of your Cancun Tours and Excursions to travel aboard a comfortable van with a bilingual driver and A/C. This way you get more time enjoying your Cancun Vacation and less worrying about driving or taking public transportation, just give us a call to have the benefits of our Cancun Tour Deals! As you can see there are plenty of Cancun Day Tours to choose and few days to enjoy them, don´t waste any time, book with Happy Shuttle Cancun to discover the best Cancun Adventures in 2018.